A setting as special as the event . . .
Offering flexibility as well as charm . . . 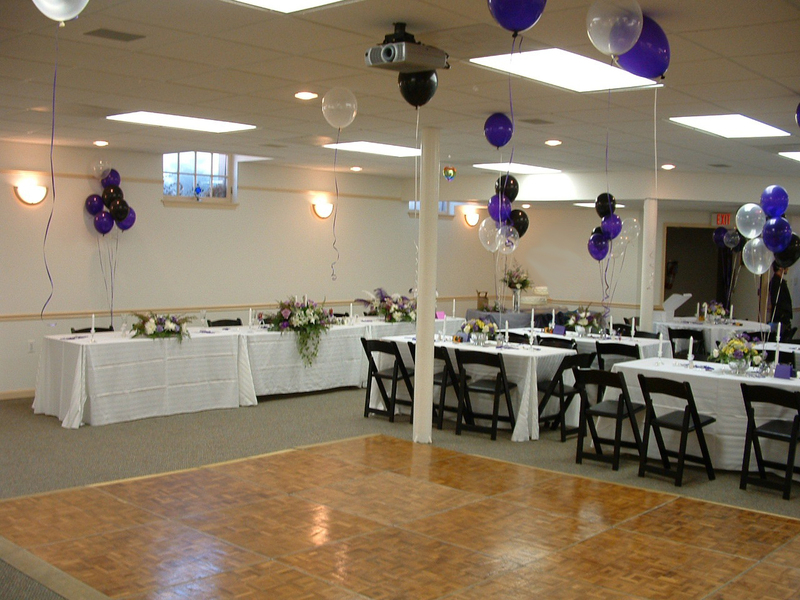 The Bull Run Unitarian Universalists’ facility is the perfect setting for special personal or business events – both large and small. The building offers a spacious sanctuary, many classrooms, and a large meeting/dining hall with an adjoining kitchen. 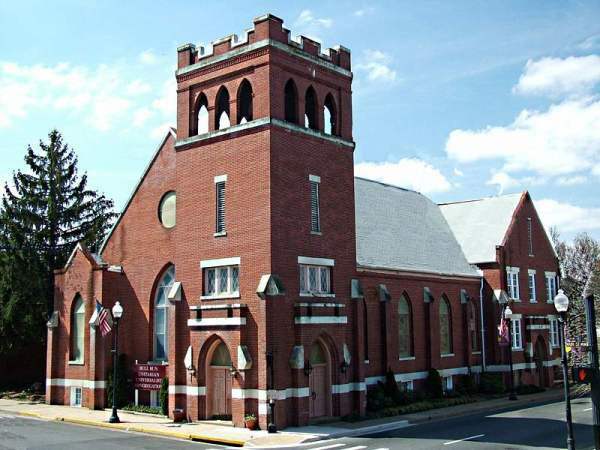 Located on the corner of Church and Main Streets in the heart of historic Old Town, Manassas, the structure is both charming and convenient. Built in the early 1930’s, the building’s stately facade is red brick. Inside the double front doors, the large, airy sanctuary features stained glass windows and wood pews that seat up to 230, including the balcony. Downstairs, the meeting/dining hall seats 140 and has an adjoining kitchen. Throughout the building are multipurpose rooms of various sizes, available for small group meetings or training sessions. To apply for rental of any BRUU resource, please contact us at office@bruu.org or visit our office during office hours.